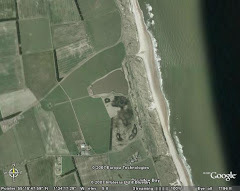 Let's hope it improves for next weekend, I am doing a 'big sit' on the big dune for the bioblitz event at druridge. A Bioblitz is a race against time to count as many species of plant and animal as possible at a particular site in a 24 hour period. it's been organised by the Druridge Bay partnership and will be based around the Country Park VC from lunchtime Friday to Lunchtime Saturday, there's loads going on, check it out at http://www.northumberlandbiodiversity.org.uk/ You can download a full programme. If any local birders are around and want to join me for an hour or two please do, the more the merrier (It would be useful to show punters what is going on on the land and the sea) . I will be on top of the big dune at Dru from 1400 Friday til dusk and 8am til lunchtime Saturday.